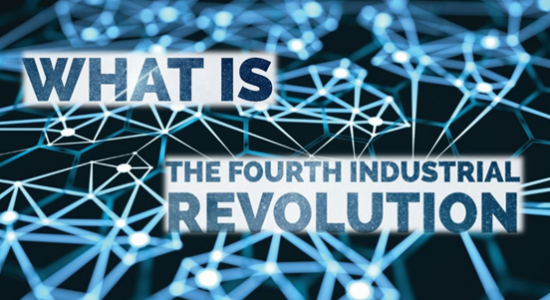 The Development Academy of the Philippines, through its Productivity and Development Center (PDC), is gearing up for the Fourth Industrial Revolution (4IR) this 2019. The 45-year-old research and training institution is doing this by introducing a series of courses backed by technology, standards and management systems in preparation for the inevitable effects of the 4IR. This is while the PDC, the DAP’s primary productivity arm, steps up promotions in productivity and quality improvement approaches that are relevant to emerging trends. Among the courses the Academy has drawn up for implementation are ISO 27001 ISMS, which it has tentatively set for June 2019, ISO 31000 RMS (July 2019), ISO 14001 EMS (August 2019), Internet of Things or IoT (September 2019), and Smart City (October 2019). 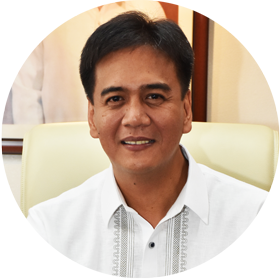 PDC Vice President Arnel Abanto said that the 4IR has actually brought an environment where disruptive technologies and trends are changing the way people live and work. According to Abanto, Business Intelligence (BI), Artificial Intelligence (AI), Robotics, IoT, Data Analytics, Nanotechnology, Biotechnology, Industry 4.0 and Smart City, among others, have been transforming entire systems of production, management, and governance. He said that the 4IR’s main effects on business, which covers customer expectations, as well as on product enhancement, collaborative innovation, and organizational form can now be felt by different sectors of society. Caronan said that while there’s huge potential to transform and realign economies and societies, challenges remain particularly for various areas in Philippines society. 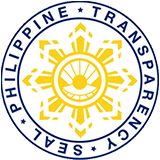 As the national productivity organization and think tank of the Philippine government, the DAP, he said, is recommending and implementing solutions and capability-building interventions that support various concerns across the public and private sectors. This includes people empowerment, which would counter the pessimism on the 4IR’s potential to “robotize” society. 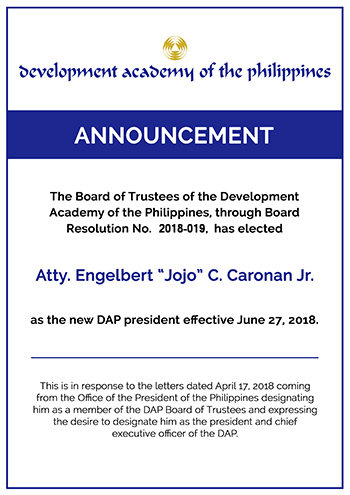 The DAP, Caronan said, is actually inspired by the potential of the 4IR and is determined not to be left behind, so it is now working to ensure that the nation will join the rest of the world in grasping the opportunity and power it has in shaping the 4IR. This revolution, he stressed, can be directed towards a future that reflects the Filipinos’ common objectives and values.